It’s hot here in Texas. It’s a fight to get my kids to wear anything but flip-flops. 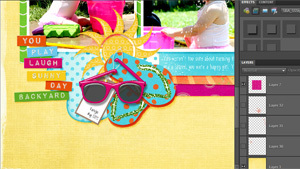 While working on a digital scrapbook layout the other day, I couldn’t find the perfect embellishment to finish my page. 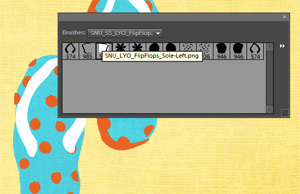 Then I found ScrapSimple Layer Your Own Brushes: Flip Flops by Syndee Nuckles. ScrapSimple Layer Your Own Brushes are some of my favorite supplies. Why? 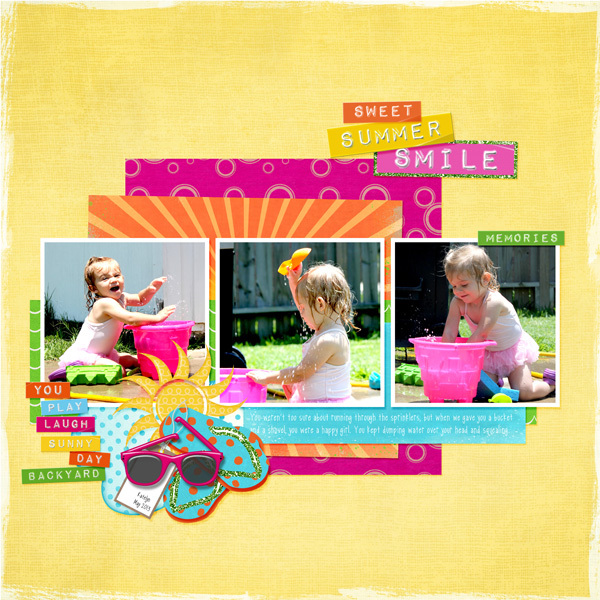 Because they combine all the ease of a digital scrapbooking brush with the customization of ScrapSimple Tools. Every Layer Your Own Brushes set contains one ABR file with lots of individual brushes that you combine to create unique embellishments. To get started, load the ABR file into your photo-editing software like any other brush; you’ll see all the individual brushes needed to create the embellishment. 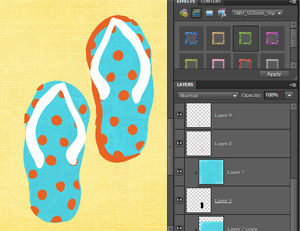 The ScrapSimple Layer Your Own Brushes: Flip Flops set has 12 brushes. This may seem like a lot for one embellishment, but using a couple of tricks, it’s not. First, open the Brush Palette to switch brushes quickly by right-clicking on your document. Remember to always brush on a new layer. Create a new layer, stamp one brush on it, create a new layer, stamp the next brush on it, etc. Stamp every brush in the set on its own layer. 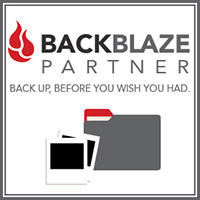 It may seem like extra work, but you’ll thank me later. Tip: If you use the same color to stamp all of the brushes, they start to blend together, even if you put each one on its own layer. Use different colors to make it easier to tell them apart. You can quickly change colors and toggle between your foreground and background colors by pressing X. Stamp each brush quickly at this point. Don’t worry about lining up everything – we will do that later. Don’t resize any brushes at this point. They were created to work together. After stamping them all, you can highlight the layers and resize them all at the same time to ensure that they are proportional. After stamping each brush, zoom in. Use the arrow keys to nudge each layer into place. 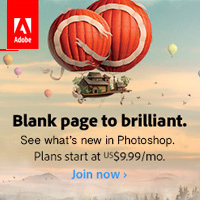 If you are zoomed in tight, each key stroke will only move a layer one pixel at a time. If you are having trouble lining up the layers, zoom in! Now, begin customizing by clipping! Tip: To “clip” or attach papers to any digital element, put the paper layer above the item you’re clipping to, then clickCtrl+G in Photoshop Elements; Ctrl+Alt+G in Photoshop. Clip papers from your favorite collection, add styles, recolor, etc. I covered the bottom of the flip flops with turquoise paper from Armi Custodio’s Forever Summer Collection. 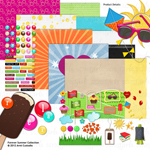 I added ScrapSimple Tools – Styles: Glitter Edge 6301 Biggie to the straps. Notice that I didn’t use the two flower layers. I added some drop shadows and ended up with a completely customized embellishment. Finally, link or merge all the layers and you’re done! I really love using ScrapSimple Layer Your Own Brushes, and I hope you’ll give them a try. I’d love to see what you come up with! 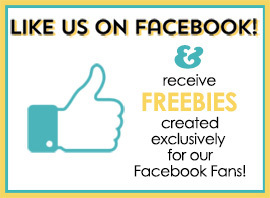 Feel free to share your creations in the Scrap Girls Gallery – I’ll be watching for them! 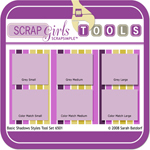 Commercial license versions of ScrapSimple Tools – Styles: Glitter Edge 6301 Biggie and ScrapSimple Tools – Styles: Basic Shadows 6501 are also available.